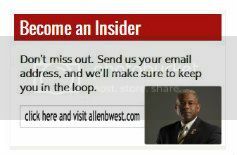 Allen West: Race is Obama’s “Get Out of Jail Free” card | Washington Times Communities. In the game of Monopoly, the “Get Out of Jail Free” card allows players to avoid the penalty of losing turns if they happen to land “in jail.” It’s become a metaphor for something that gets you out of an unpleasant or difficult situation. And it’s a card our president seems to be playing over and over again in his game of Monopoly with the American people. The nation is struggling with the notion that President Obama completely deceived us all on his signature policy, the Patient Protection and Affordable Care Act. Over the past week we learned that millions of Americans are receiving cancellation notices of their private healthcare plans, something Obama promised over and over again would not happen, “period.” We now know that to be false. VIDEO: Allen West and Juan Williams join David Webb to discuss our nation of violent youth. Col. Allen West and Juan Williams join David Webb to discuss our nation of violent youth. An excellent exchange by all three. MRCTV interviewed some of the attendees at the 41st annual legislative conference of the Congressional Black Congress. Apparently, many of them have a very low opinion of blacks in the Conservative movement. Rich Mitchell is the managing editor of ConservativeDailyNews.com and a Conservative political commentator.You can follow Rich on twitter, facebook, Google+ and hear him on the air.